Ridesharing Companies Poised to Launch in Calgary. Uber says it’s unworkable. So does Lyft. 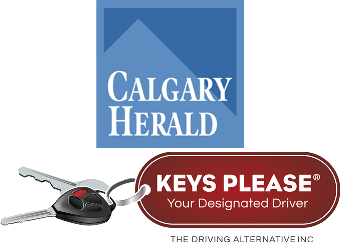 But several companies are ready to jump into Calgary’s nascent ride-share market as fully licensed operators just months after council passed a new livery transportation bylaw — and just in time for the Stampede when demand for cabs often spikes. Postmedia confirmed city hall recently approved transportation network company (or TNC) licence applications from Allied Limousine, Cowboy Taxi out of Airdrie and Edmonton-based TappCar. The Taxi and Limousine Advisory Committee will receive a verbal report on those applications at its Wednesday meeting. A fourth entrant, Keys Please, is putting the final touches on its new smartphone app — called Ride Please — and submitted its application Tuesday. The longtime designated driver service hopes to be up and running by Stampede. “Our website is actually being worked on as we speak in regards to getting the applications for drivers coming in so that we’re ready to open our doors and run,” said Ginger Greenwood, general manager for Keys Please.